Due to severe weather tomorrow, we are getting our second snow day of the year, and postponing March For Our Lives to Monday. More than 800 events are planned all around the world this weekend in hopes of ending gun violence in schools. There have already been more than 30 mass shootings this year in the United States, with a school shooting incident happening just this week in Maryland. In the United States, there have already been more than 30 mass shootings this year, according to several news reports. 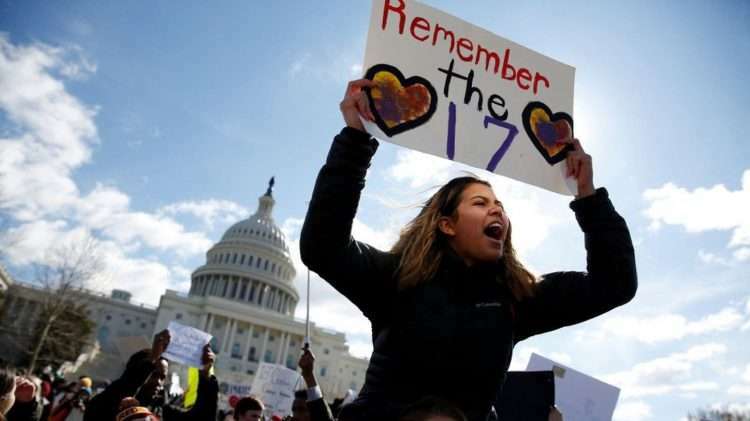 One of the most recent occurred on February 14th at Marjory Stoneman Douglas High School in Parkland, Florida, where seventeen people were killed and many were left wounded. 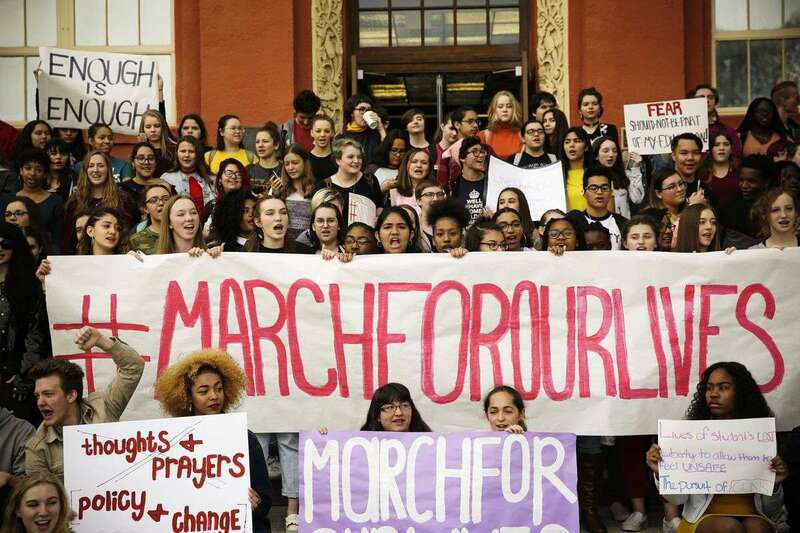 The students from the shooting have organized a march in Washington, DC on the 24th, and their efforts have motivated other schools around the world to show their support. Leading the charge is a group of Parkland teenagers, who have had the courage to speak up for their safety and the safety of others. 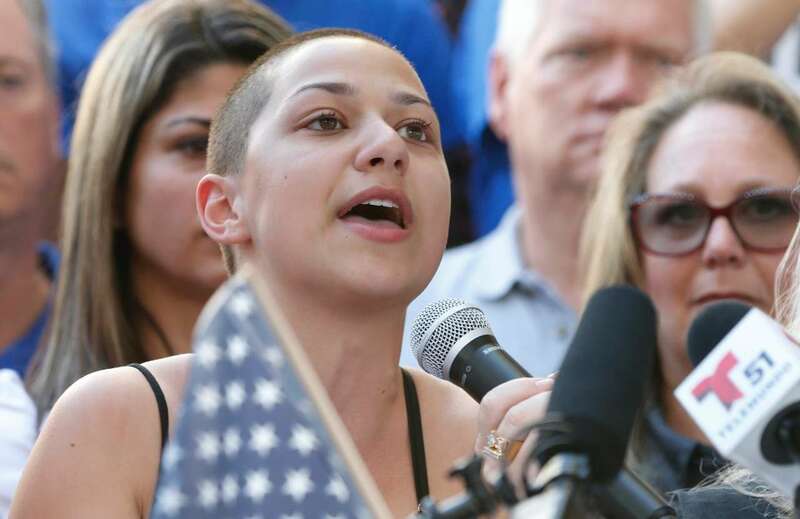 Emma Gonzalez, a surviving victim of the Stoneman shooting, has become a public speaker and advocate for gun control in the United States. On February 17th, she gave a public speech, demanding change from lawmakers. It has since gone viral, with millions of views so far. Gonzalez’s words, along with the actions that she and her peers have taken in order to enact change (School Walkouts, the “Never Again” Movement, social media campaigns ), have inspired countless people, and have made the younger generation feel like they have a voice. The students at AISB want to celebrate what these teenagers are doing, and do their part to continue the conversation. At 12:55pm on Monday, there will be a short presentation held in the theater, followed by a march around the campus. All high school students, faculty, and parents are welcome to come support the students affected by the mass shooting, and to keep #DouglasStrong. Make sure to wear blue, the color of the campaign, in order to show your spirit. For more information, or to make a donation to further support this foundation, visit the official March For Our Lives website.